In the spring of 2016, Progressive Productions’ team was able to take part in a special and extreme adventure. We collaborated in creating a special content film for Oculus: Samsung’s VR glasses. The South Korean Samsung center commissioned the UNIT9 production company to create such an unusual film, that allows the viewer to witness a realistic virtual 4D adventure. 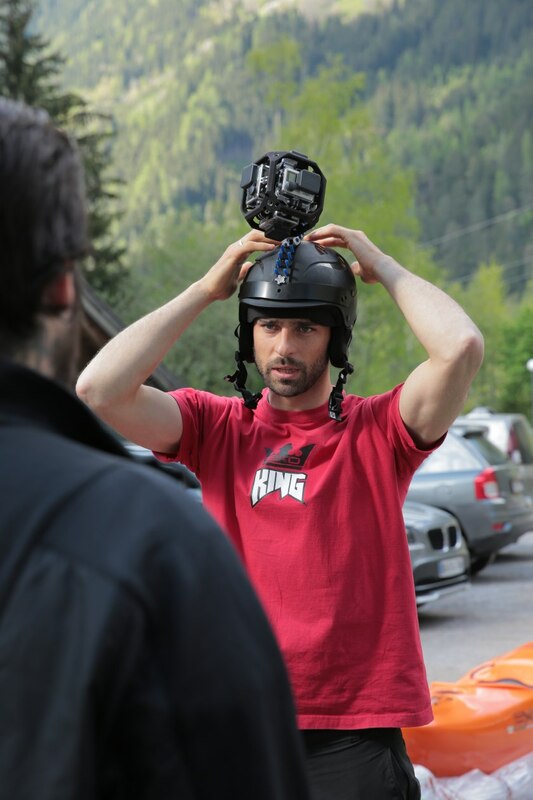 The film’s concept is that the characters are plummeted down a waterfall, then they kayak down an extraordinarily beautiful mountain river while the 360 degrees camera on one of their helmets records a video of them and their environment. After UNIT9 got in contact with our Viennese office via the Production Service Network, the Progressive Productions team started to search for the ideal locations and talents in Austria. We had to find such a location that, next to it being an awe-inspiring natural location, also had to have optimal infrastructure as well. 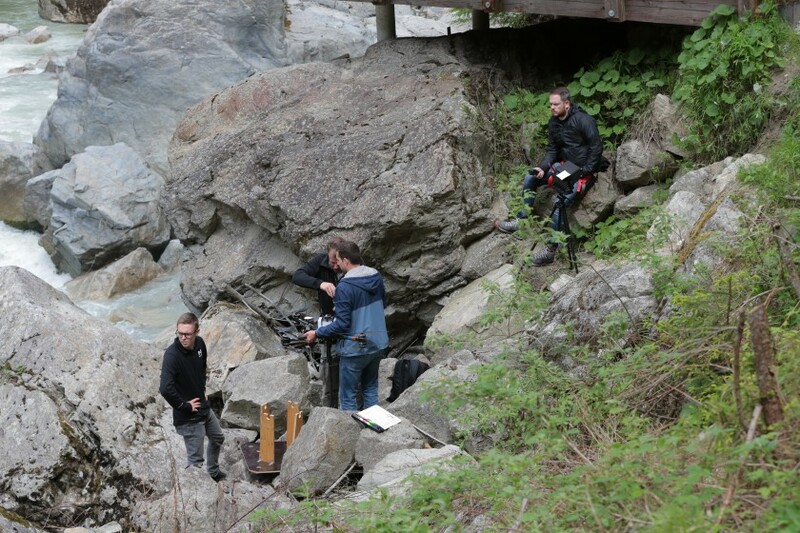 Rich in rivers and streams, known as an eden for extreme sports, the Ötz Valley with its picturesque beauty and its flawless infrastructure proved to be a perfect choice for the two day shoot. Since the valley is merely three quarters of an hour away from Innsbruck, many fine hotels and restaurants can be found nearby, which made our clients’ stay here very comfortable. 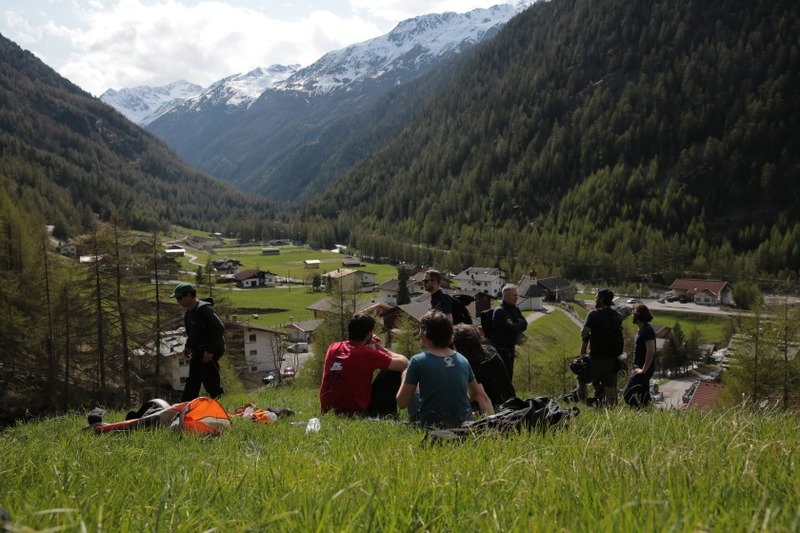 We accommodated the team in a four star Alpine hotel, which was only 5 minutes walk away from the shooting’s base camp. Our team found such a location, where natural beauty and perfect accessibility merged without compromises. The shooting spots were only a few minutes walk away from our staff car park. With the help of the local tourist office, we could use special vehicles so that we could take our equipment anywhere we wanted to by the river. Austria is particularly popular among extreme sport fans, which made it a lot easier for us to find the talents. 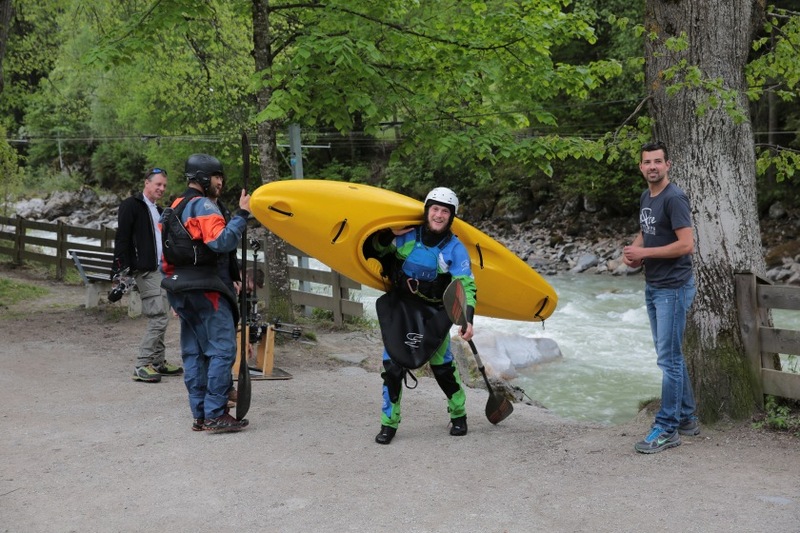 It was our pleasure to work with the area’s best whitewater kayak team, the Source to Sea, who were brilliant at accomplishing their task during the shoot. Unfortunately one of the kayakers broke his shoulder a few days before the shoot, but we managed to find another highly qualified kayaker who took on his task flawlessly. It was not an easy task for the talents since they had to oar and stay balanced with the 360 degrees camera on their helmets. Thanks to precise planning, we created such departure and arrival points by the river with which we were able to take the scenes in multiple shots. This was especially important, because we wanted to minimize the physical strain on the kayakers. One always needs to be responsible and alert when shooting in wild nature. Naturally we always took the necessary safety procedures in order to ensure the safety of the talents and the staff: we took care of the required clothing, footwear, safety ropes. 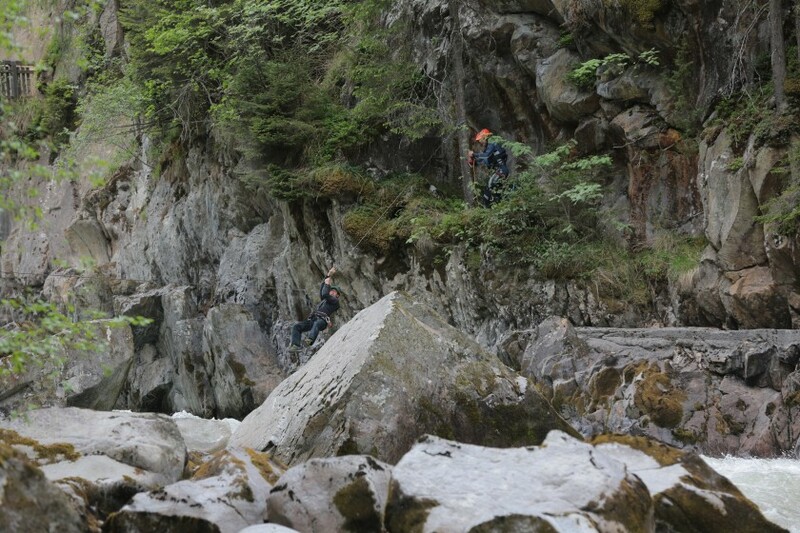 Also a person with a mountain rescuer qualification took part in the shooting as assistant director. 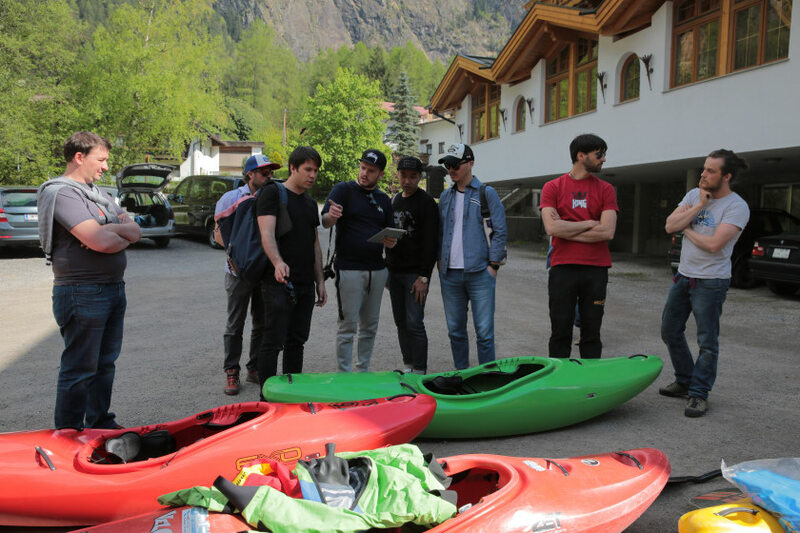 We especially kept attention on the river’s water level, because due to the mild weather in May the snow on the mountains gradually started to melt, which strongly affected the rivers’ water levels and the rapids’ speed, as well as their navigability. The water level in this season could even change as much as one meter in one day. Our calculations went well and everything was fine with the water levels, although we were prepared for all possibilities: we developed multiple backup options on other parts of the river both in case of high or low water levels. It was our pleasure to take part in making a film in such a beautiful location, working on a new genre and with such an innovative and worldwide known brand as Samsung. The shooting made us face exciting challenges and we enjoyed every moment of it.